**NOTE: THIS IS NOT A STAND ALONE TENT. IT CAN NOT BE RENTED SEPARATELY. 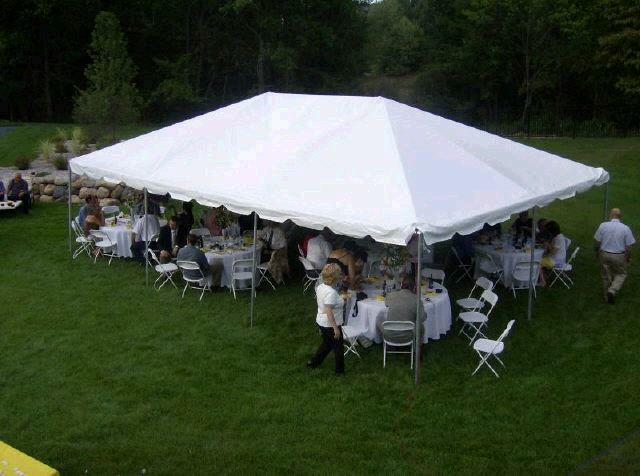 THIS 20'X10' MIDSECTION CAN ONLY BE USED WHEN ADDED TO A 20'X20' TO MAKE A LARGER SIZE FRAME TENT. * Please call us for any questions on our 20 foot x10 foot aztec frame w/7 foot legs tent rentals in Rocky Mount and Wilson NC.